Sagewood at Daybreak has just been named NAHB's 2016 community of the year. 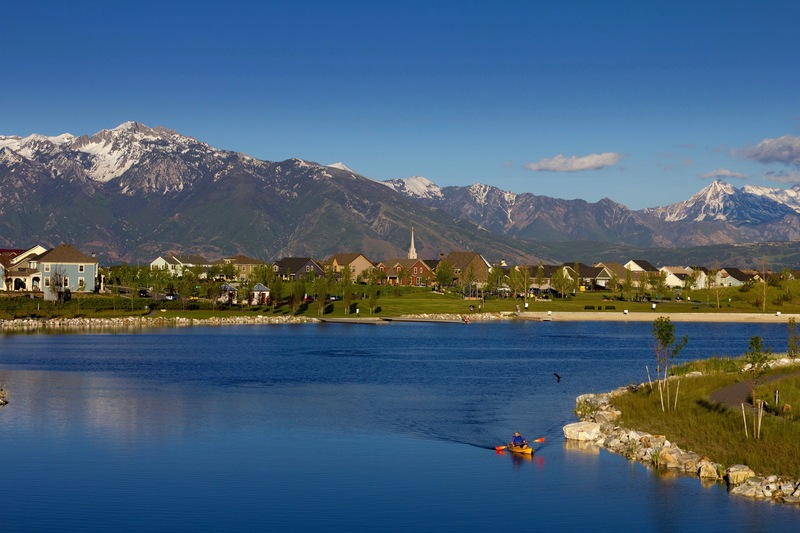 Sagewood at Daybreak in South Jordan, UT is the 2016 Community of the Year. The National Association of Home Builders (NAHB) presented the award to this outstanding new community during the Best of 55+ Housing Awards. The NAHB awards communities that demonstrate innovative designs, community development and planning, lifestyle options, and marketing of housing that targets the 55+ crowd. The annual awards ceremony took place at the International Builders’ Show in Las Vegas, NV. Sagewood is a full-service active adult neighborhood within the master-planned community of Daybreak that features a diverse mix of residential housing, business centers, recreational facilities, and medical services. Sagewood at Daybreak offers mature adults housing options such as 99 independent living apartments, 55 assisted living residences, and two households with 23 private rooms for memory care patients. Residents of this close-knit community enjoy world-class amenities such as a library, game room, family room, and an art studio. The community also provides plenty of health and wellness facilities that include a fitness/gym and yoga area, indoor pool and spa, a full-service salon, and therapeutic massage room. Residents who want a more traditional active adult lifestyle while enjoying all that the master-planned community has to offer have Garden Park at Daybreak at their disposal. This 55-plus neighborhood has everything an active adult could want or need including a 10,000 square-foot clubhouse which contains a fitness center, dance studio, outdoor pool, patio, and tennis courts.